*Opinions expressed by third-party sources are not necessarily those of Advanced Silver Co.
"RAGs A Format for Silver - CAS Number 7440224"
"Formal Toxicity Summary for SILVER"
"Silver is found in most tissues"
"Silver is used to make ... dental fillings." Silver is used "to disinfect drinking water"
"and water in swimming pools"
Silver is used "as an antibacterial agent"
"and in chewing gum to help people stop smoking." Low-level exposure to silver is "not known to be harmful." "Lower-level exposures to silver may also cause silver to be deposited in the skin and other parts of the body; however, this is not known to be harmful." "In humans, less than 1% of dermally applied silver compounds are absorbed through the skin (Snyder et al., 1975)." "Silver has no known physiological function in man, but its accumulation leads to argyria when the body burden is > 1 g (Stokinger, 1981)." 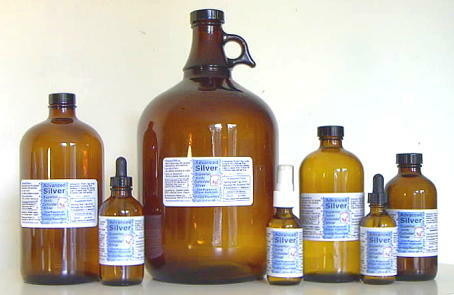 Individuals can turn blue using silver for "months or years"
"Argyria, a characteristic and irreversible gray or blue-gray discoloration of the skin and mucous membranes, has been observed in individuals that have ingested both metallic silver and silver compounds in small doses over periods of months or years."